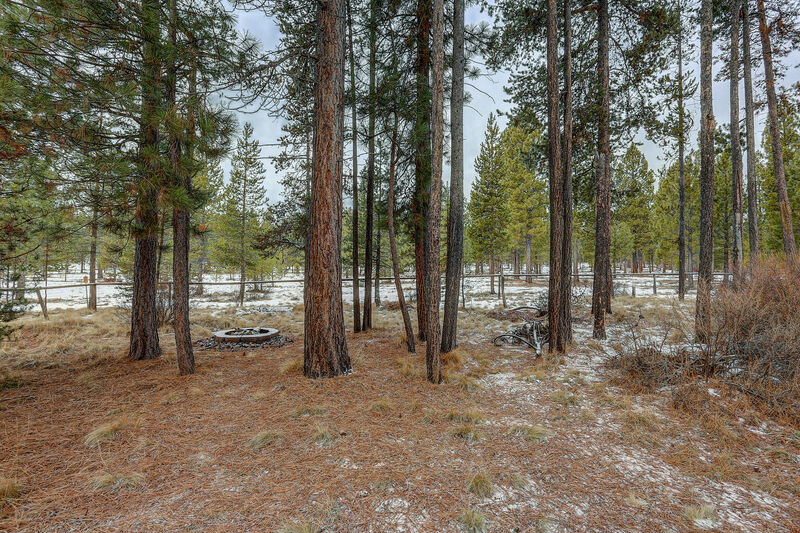 Just minutes from Mt. 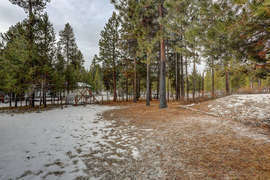 Bachelor and the beautiful Cascade lakes. 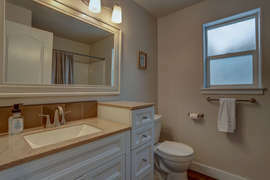 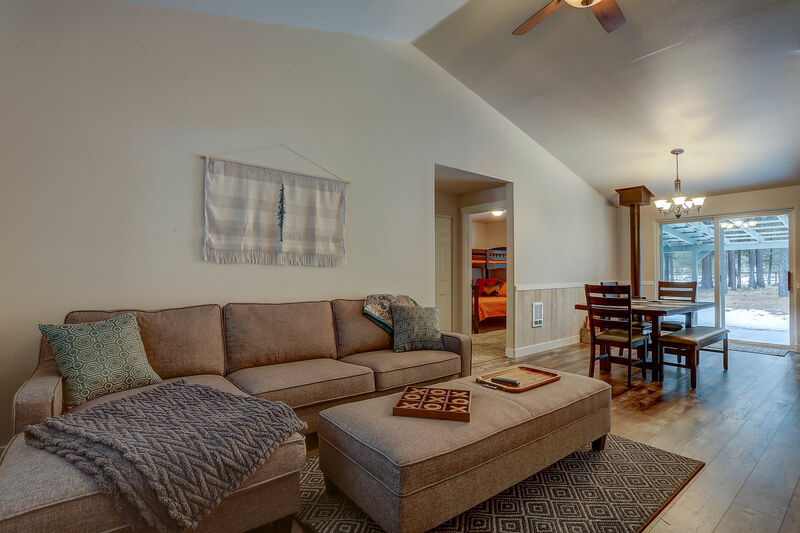 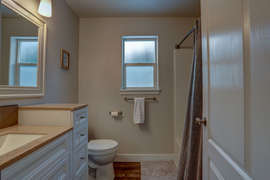 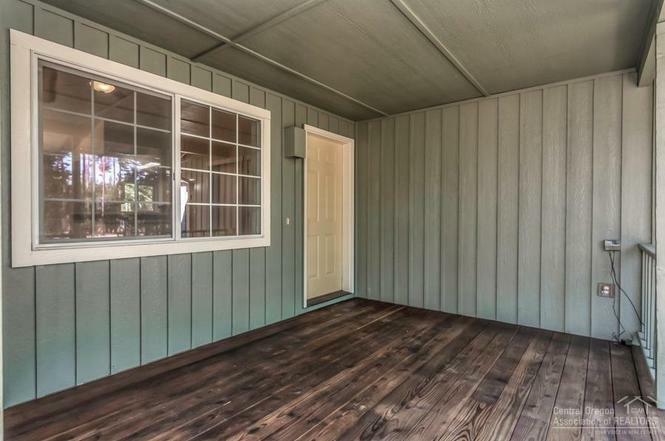 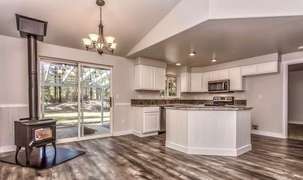 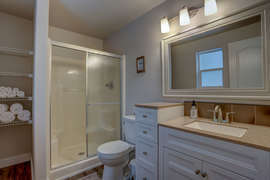 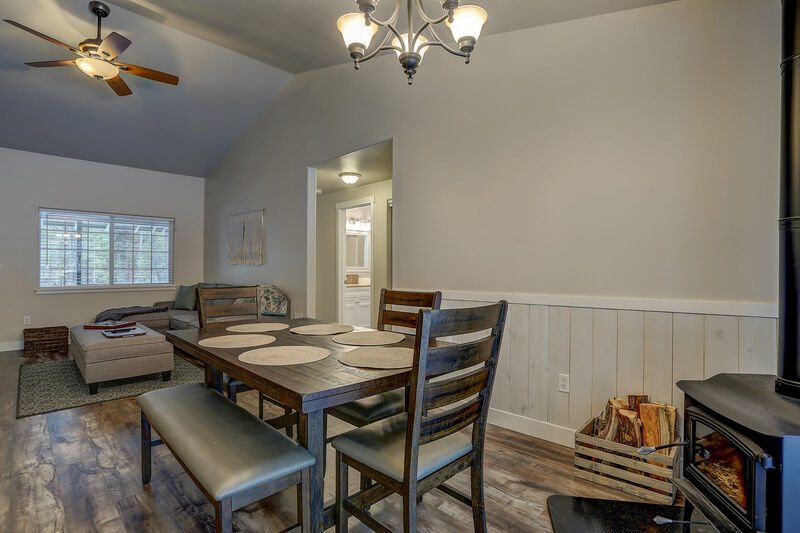 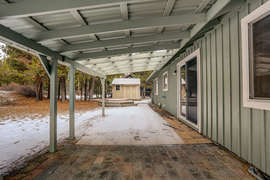 Stellar is a beautifully updated home that is perfect for a small family getaway in the woods. 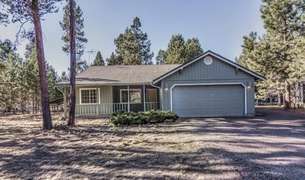 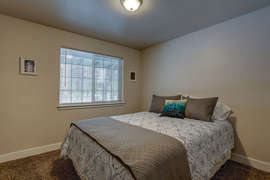 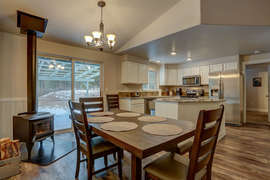 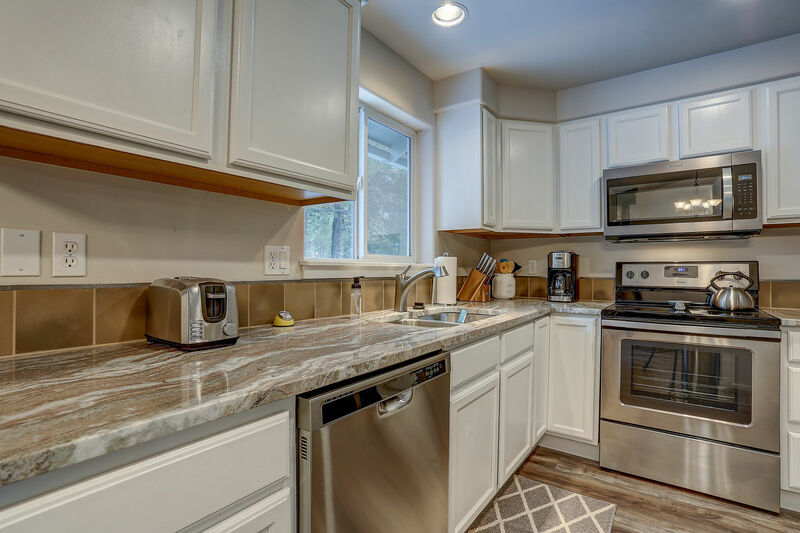 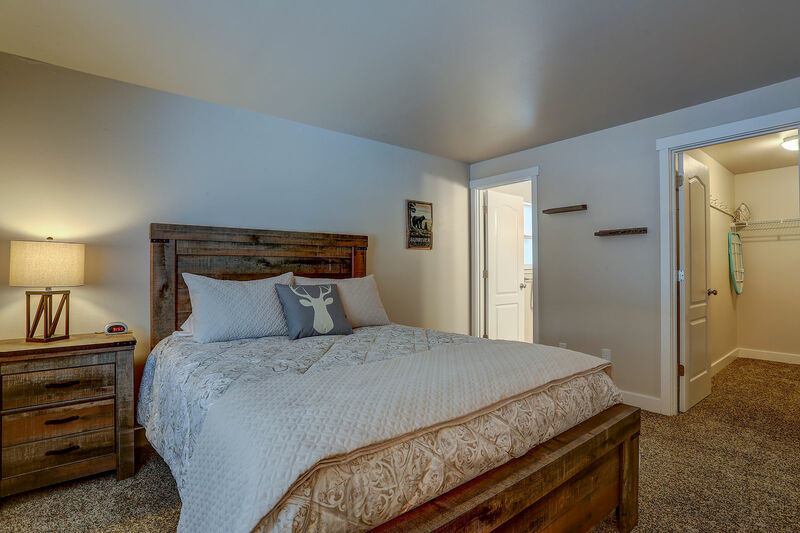 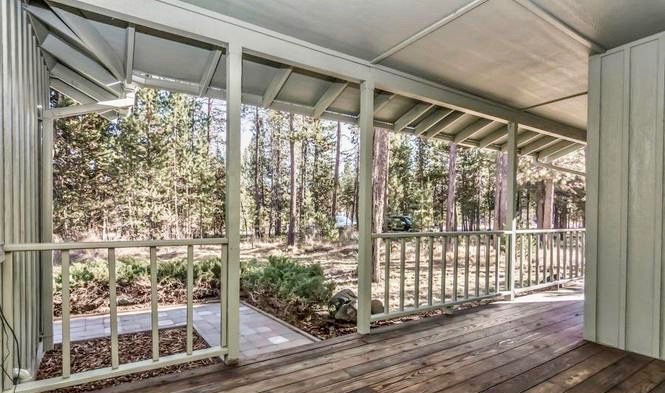 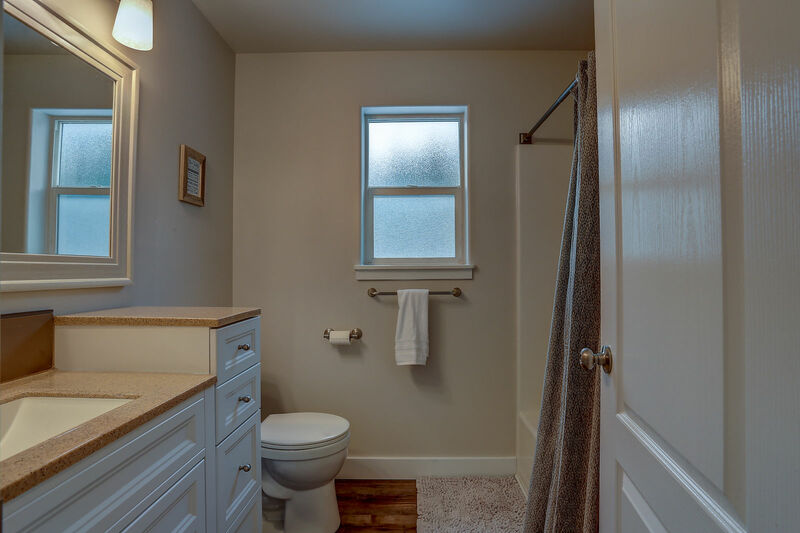 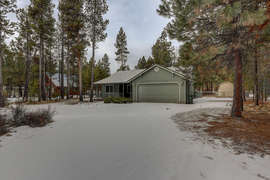 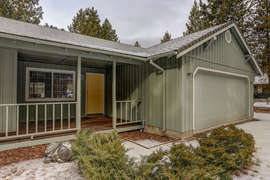 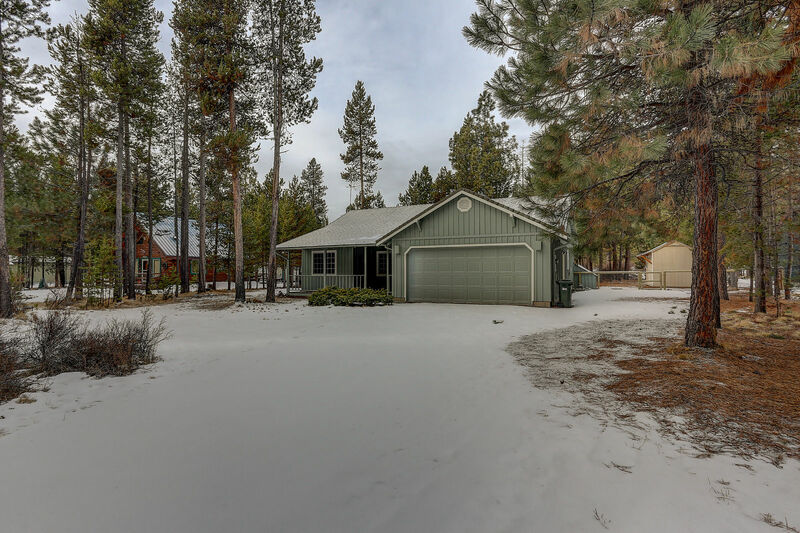 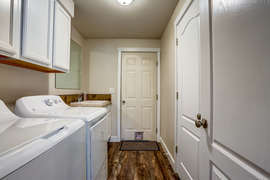 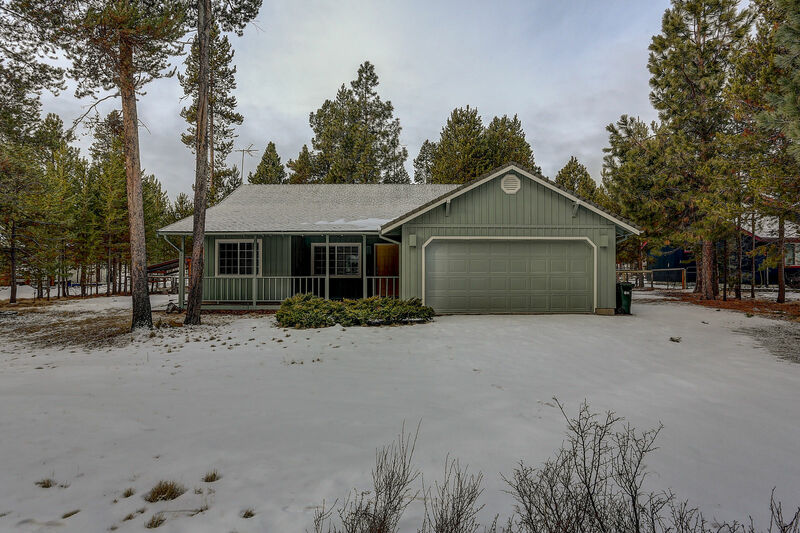 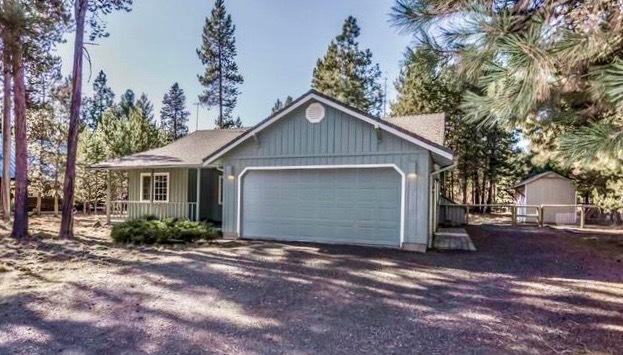 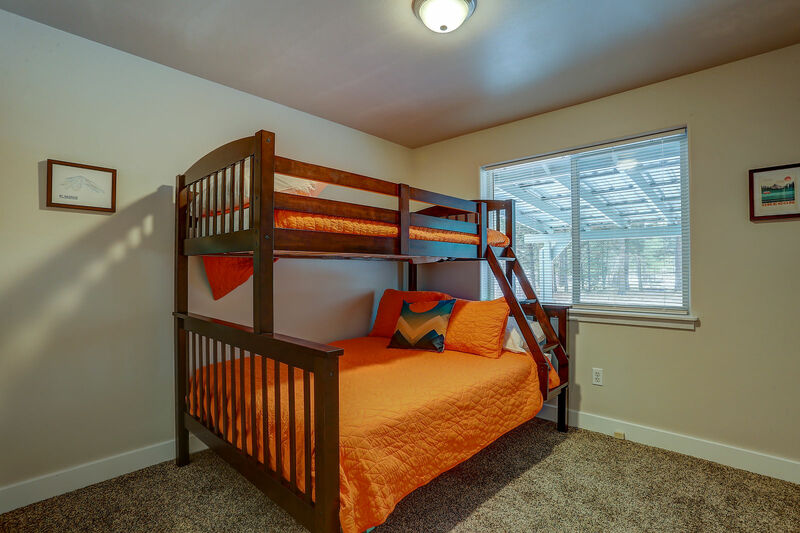 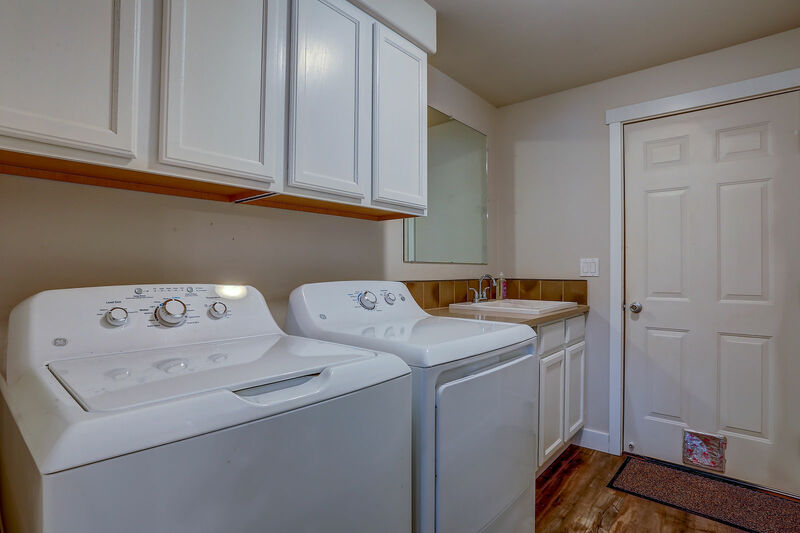 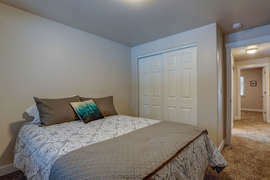 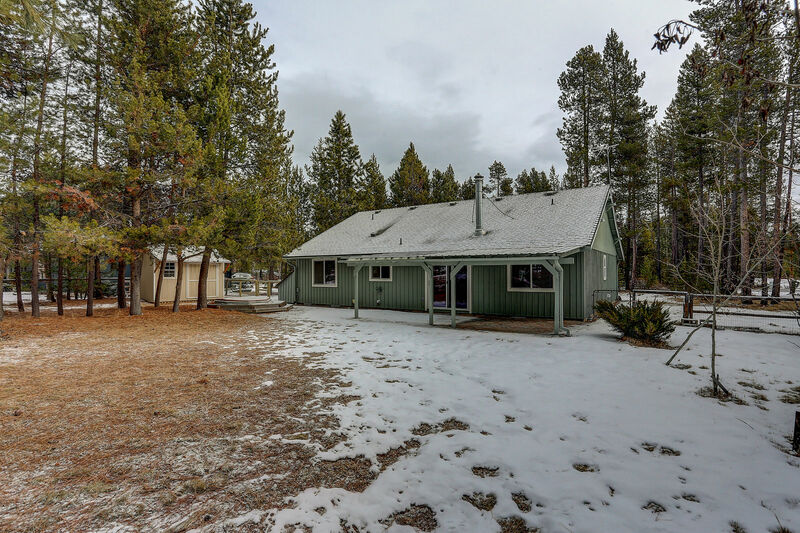 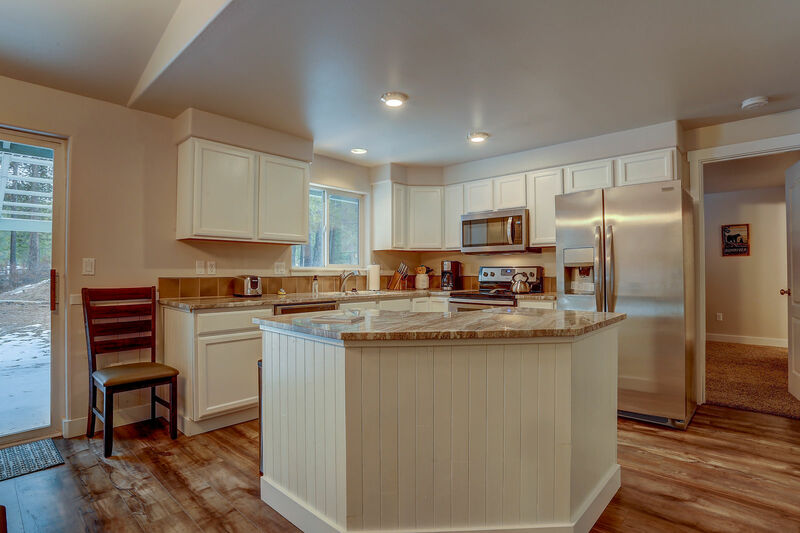 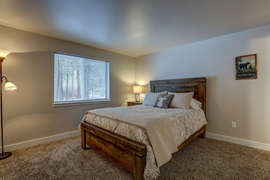 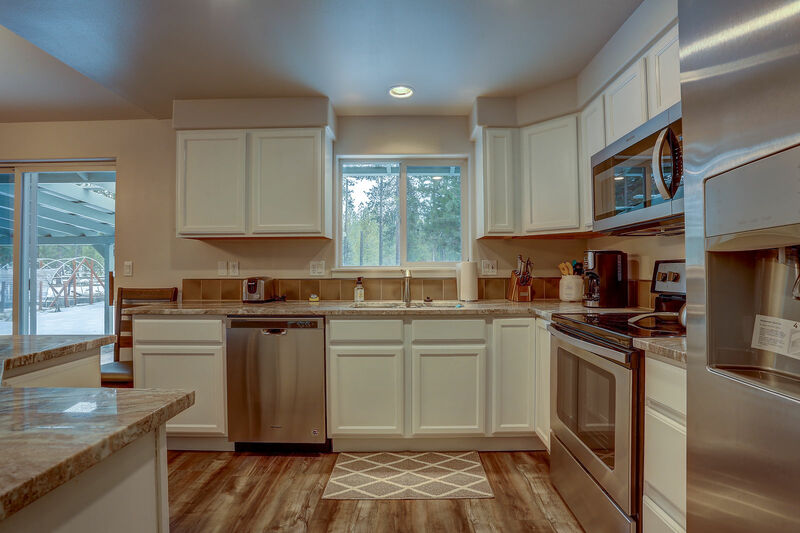 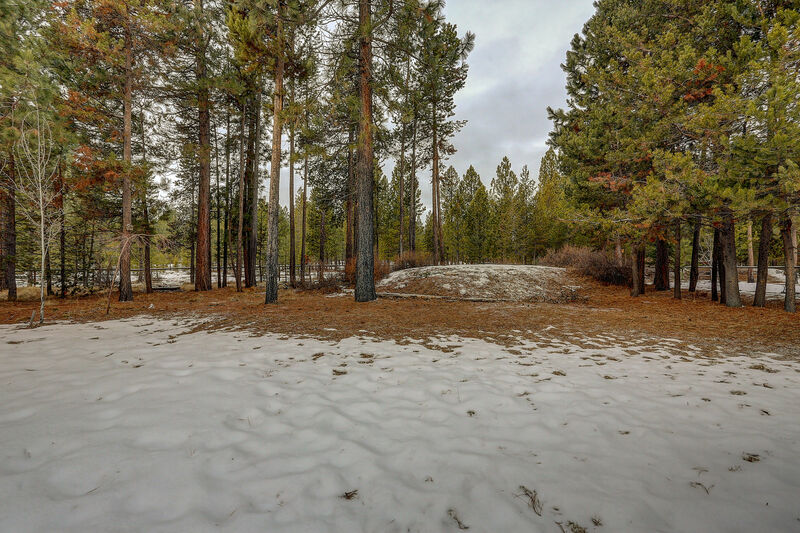 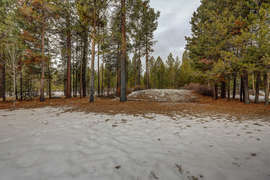 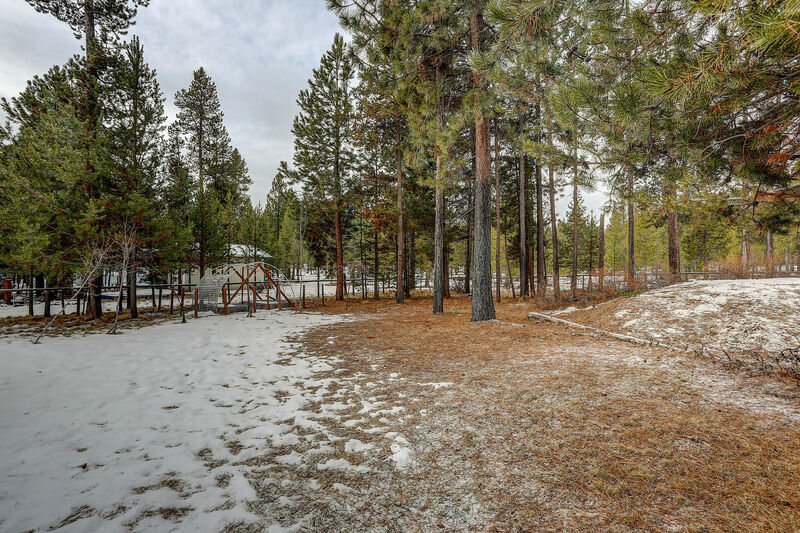 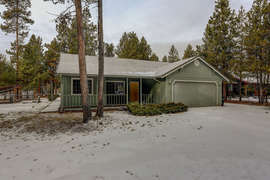 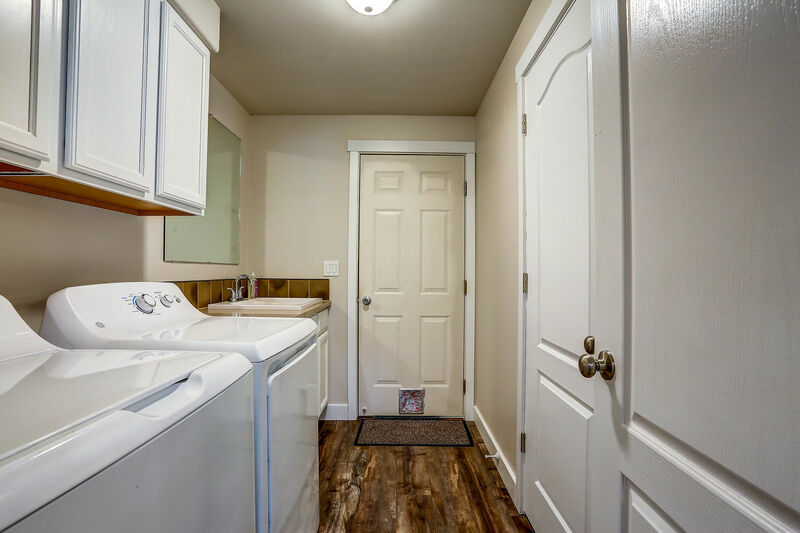 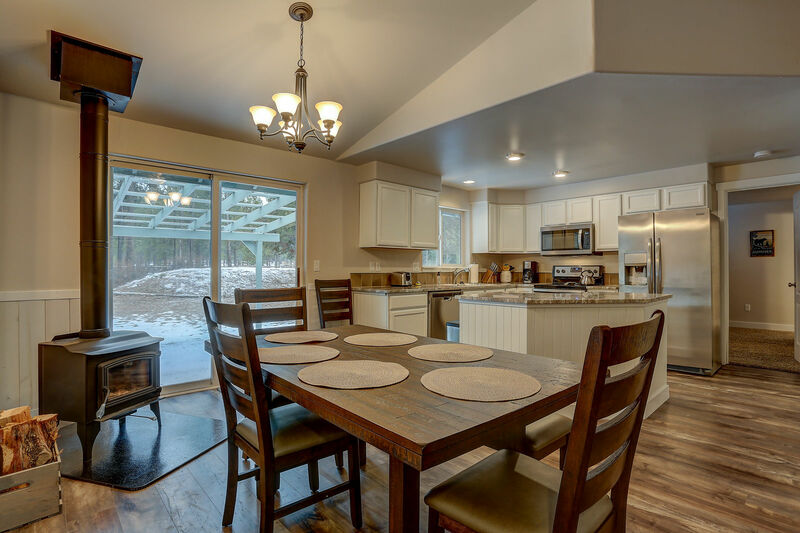 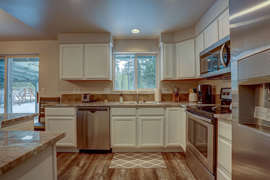 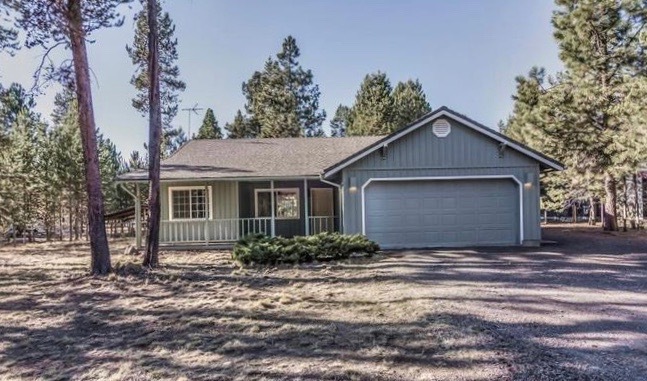 Located just 3 minutes south of Sunriver Resort, with peace and tranquility in the ponderosa pines. 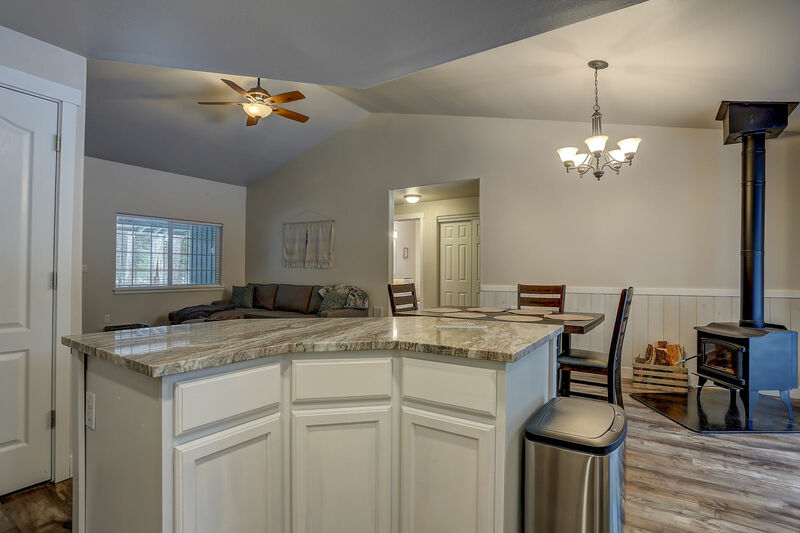 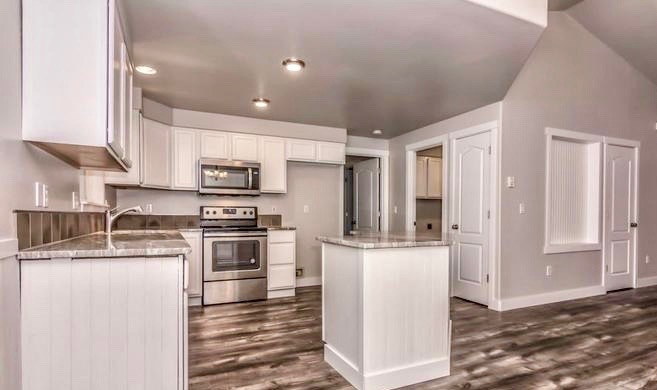 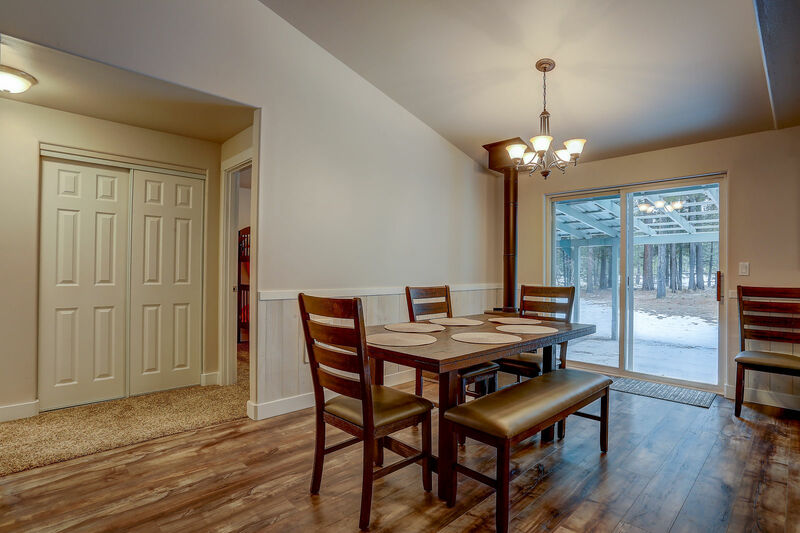 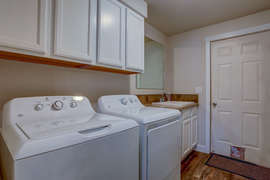 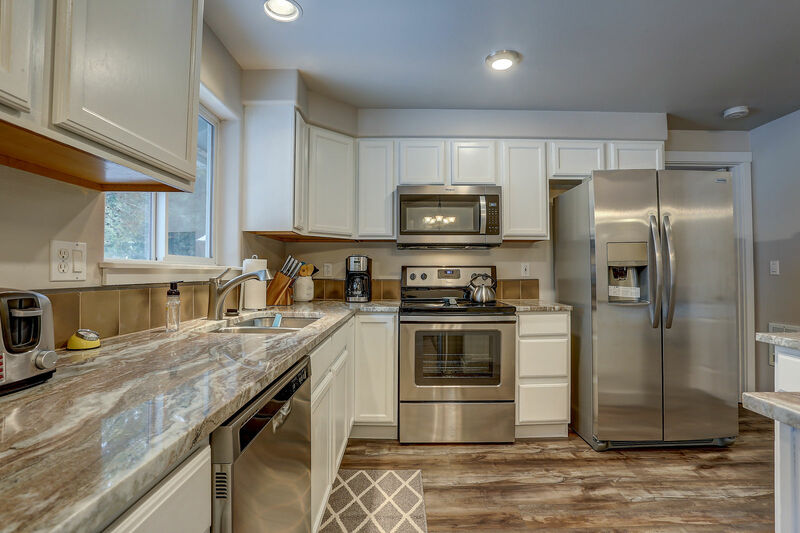 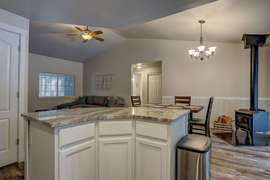 Everyone can gather in the living/kitchen/dining area with new furnishings and a beautiful new kitchen. 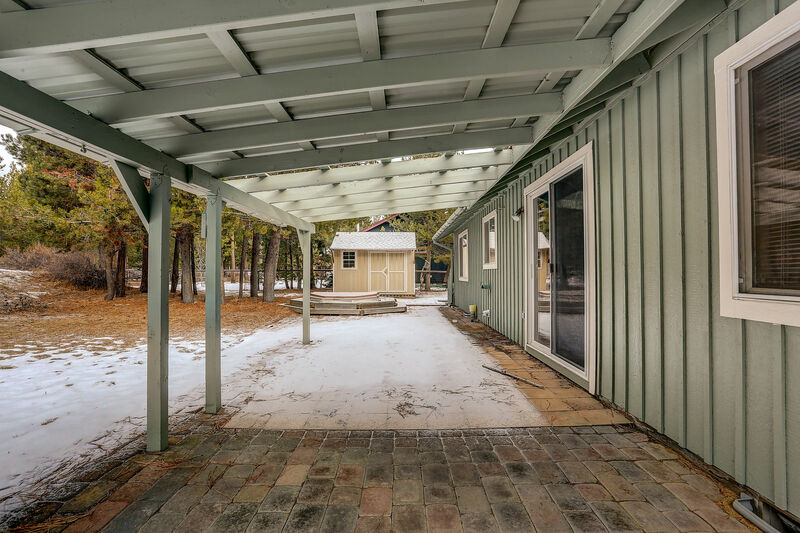 The wood-burning fireplace keeps things cozy in winter and open space in the back yard means plenty of space for kids to explore. 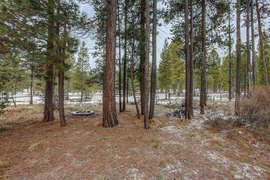 Near the meandering Deschutes river - the perfect spot for a leisurely float. 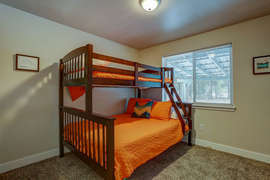 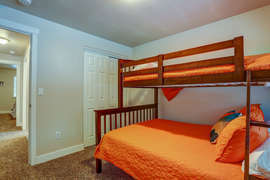 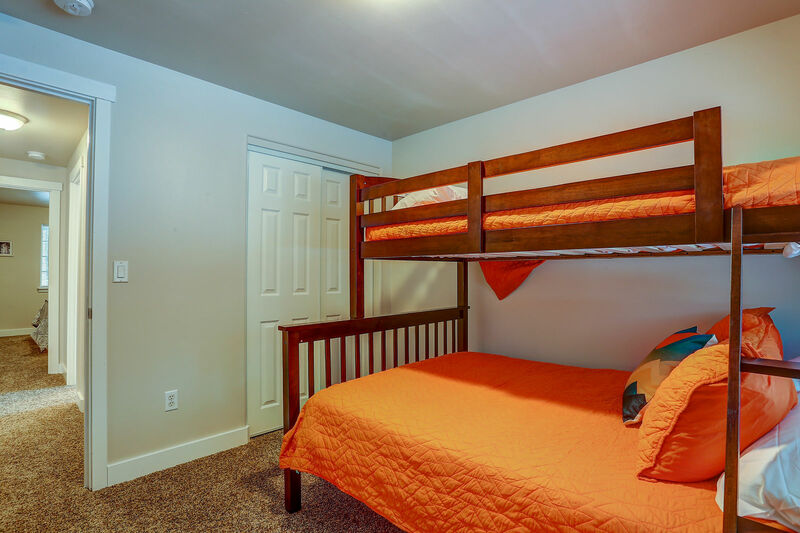 Book your escape today!